Today I am super excited to present to you my review of a totally and completely FANTABULOUS book that you all MUST read. This is the newest cover of this book, which I just totally and completely love! Ella lives in Birmingham, Alabama, with her wonderful husband, opinionated baby, and mopey dog. 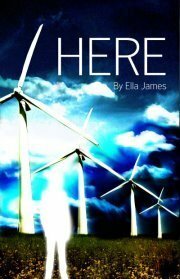 You can visit her blog at www.ellajamesbooks.blogspot.com, or friend her on Facebook atwww.facebook.com/ellajamesbooks. Holy cow, Ella, you DID NOT just end the freaking book like that! ACK!!!!! Yup, that was my first thought when I read the last page. As you can imagine, it's a cliffhanger, ACK! I would like to thank Ella James for sending me a copy of this book to review and give my honest opinion. I will be honest and say I did not read the blurb or any reviews for this book prior to reading it. So, I went in blind, not knowing what it was about or what to expect! Boy, am I glad I dove into this one. I mean, WOW! I am not usually a sci-fi fan as far as reading is concerned, although I have no idea why since for TV and movies I love that stuff. 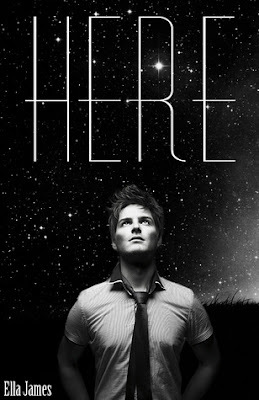 So, when I noticed this book was slated under a sci-fi YA genre, I wasn't sure what to expect! The Cover: When I received the book, I was taken aback by the cover. It was very cryptic to me: a person on the front and then some windmills in the background, and all in what I would refer to as "black light." I couldn't make heads or tails of it. Now that I read the book it makes total sense. As does this new cover, which I much prefer, in all honesty, and I really think captures things better as far as the theme of the story is concerned. I really love the main characters in this story. They are well developed and very strong. I connected to them almost immediately. I felt their emtions to the tee: fear, love, doubt...you name it, my heart was in there right with them! Milo is a teen girl who is very strong minded. She has three best friends but she is very independent and does her own thing. I have to say that she did come across much older than what she was. She did not strike me as the typical teen. One thing I loved about her was there was no self-loathing with her. She didn't think herself unworthy of being liked for the most part. I have to say that I was a bit disappointed in the fact that she really could not tell that Nick/Gabe was not totally normal. She alluded to it, but still seemed so shocked when it was finally revealed. It seemed unrealistic to me since there were so many clues during her growing relationship with him. Nick/Gabe is just so sweet. And I love the beginning of the book when he comes off as shy and quiet. His need to protect Milo is unsurpassed. I love that he is such an enigma to both Milo and the reader (although, as a reader I figured there was something out of this world about him, I just wasn't sure what). For so long, we really have no idea who he is or how he showed up so instantly in those woods. Slowly he is revealed to us, which I really love. And my gueses were wrong at first. He's shrouded in mystery and that makes him so much more interesting. The ancillary characters realoly weren't developed in this book. We don't see all that much of Milos best friends, just a small glimpse at the begging and then at a party they attend. But nothing to really show us the relationship she has with them. She does describe it a bit, but to me it was still not all that clear. And I don't think it necessarily had to be, since they didn't appear all that much in the book. Then again, Milo was so independent, I am not sure she would have related what was going on, even to her best friends. Her mother is not really around for us to get to know. We do get to know some of the "evil" character personalities a bit, but not really until the end of the book as they are an integral part of what is going on. I was not expecting the storyline from this book at all. When I first started the book I have to say I was a bit confused. The tone confused me. It was very choppy and I really wasn't getting a sense of where it was going. I was unsure of whether or not I would enjoy the book because I didn't like the way the writing was going. And then I got to chapter 2 and things just kind of took off. I mean, I could not put the book down. I read over 1/2 of it the first night and was chomping at the bit the next day to get back to it and finish it up! It was fast paced and suspenseful. It was so captivating, I stayed up late and wasn't even sure where a good point to stop would be! The book builds slowly, keeping you wrapped in it's mystery and wanting to move along to find out what happens. James does a great job of world building. And James cleverly sneaks us through this world, as she reveals little by little what she wants us to know. My heart was pounding by the end and I just couldn't get enough. Then, all of a sudden, BANG, CLIFFHANGER! OMGosh, Ms. James, how the heck can you leave it all out there like that? I need the second book NOW! So, you could say I definitely loved this book. I really enjoyed the ride the author took me on, especially since I have read minimal sci-fi books and I'm always leary of where they will go. I am into this trilogy for the long haul and would highly recommend it to anyone who loves sci-fi/paranormal young adult reads. Really, you gotta go get this book. I was absorbed in it!!! It just grabbed me and took me on a ride!!! I am ITCHING to read the next one, which comes out in October (the cover has not been released yet) and the third which is due out in November (GO ELLA, YOU'RE IN A GROOVE). And if you haven't read Ella's other series, Stained, go out and get it NOW!!!!!!! I have never heard of this series, but science fiction always intrigues me. Thanks so much Soma! It's really a great book! I highly recommend it. It's got just the right amount of romance and a really interesting background story. And what an ending!POW!